There is a hidden game being played in your business. It is made up of the unspoken rules, unquestioned assumptions, and the invisible agreements that define how your organization operates. When you don’t know the hidden game exists, it runs you and your business. You aren’t playing the game—the game is playing you. 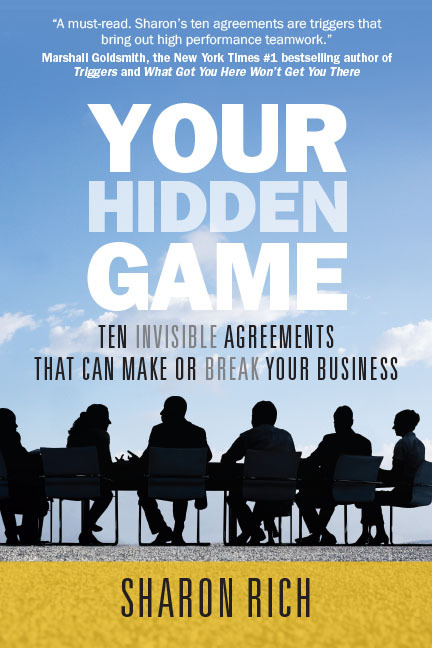 In Your Hidden Game, business consultant and CEO of Think Business Growth, Sharon Rich, shows you how to bring these invisible agreements out on the table, shine a light on them, and work out new agreements together. Sharon identifies the ten agreements that are most essential to success in any business and lays out a roadmap for bringing your team into alignment so they can execute at higher and higher levels of performance. Sharon shares real stories from the front lines of her client businesses that demonstrate where organizational behavior goes awry and what leaders can do to get their teams on track toward their desired outcomes. Simply put, by becoming aware of the hidden games being played in your business and intentionally reworking the rules, you’ll find yourself playing a new and more successful game. After getting to know the hidden game intimately as a leader in the advertising business for twenty-five years, Sharon Rich has dedicated the past decade to transforming business performance by making the invisible visible—facilitating business leaders in bringing their organizations’ hidden games out onto the table, where they can rewrite the rules, enter into new conscious agreements, and eliminate the automatic assumptions that get in the way of executing effectively. 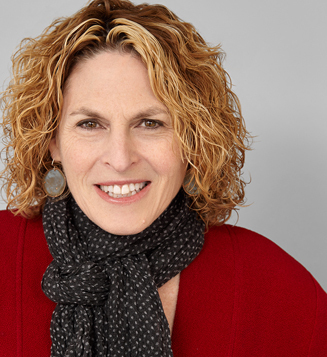 Sharon works with businesses that are navigating growth and change in industries that include health care, bioscience, technology, manufacturing, media, professional/creative services, and nonprofits. Sharon is based in Los Angeles. In her free time (along with her husband and two grown children) she plays with self-discovery, writing, painting, cooking, tarot, animals, and travel. New York Times #1 bestselling author of "Triggers" and "What Got You Here Won’t Get You There"
Author of "The 15 Commitments of Conscious Leadership"